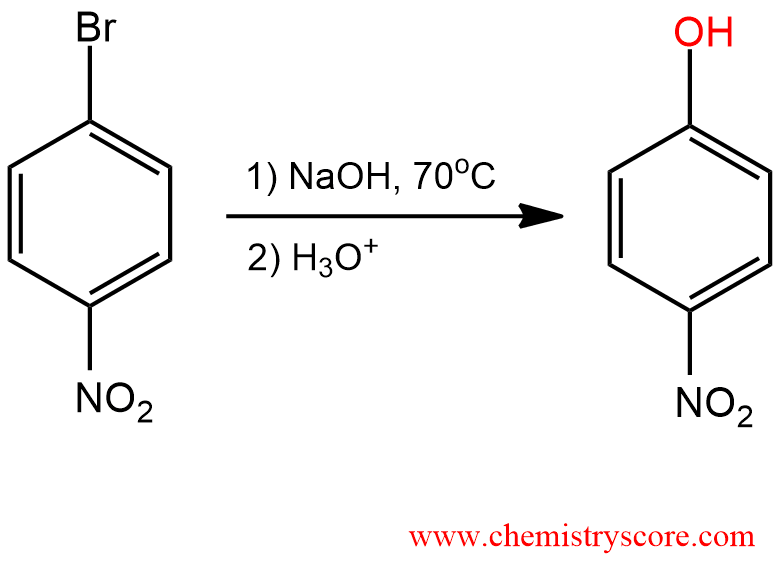 Nucleophilic aromatic substitution is a reaction in which the aromatic ring is attacked by the nucleophile. For example, when an aromatic compound is treated with a strong nucleophile (hydroxide), a leaving group (bromide) is displaced. These reactions are subject only to aromatic compounds which contain a powerful electron-withdrawing (usually a nitro group) and a leaving group (usually a halide) which must be ortho or para to the electron-withdrawing group (reaction with meta position of substituents is not observed). Such substituents stabilized an intermediate anion by resonance. Substitution in these reaction takes place by a two-step mechanism, an addition-elimination sequence. 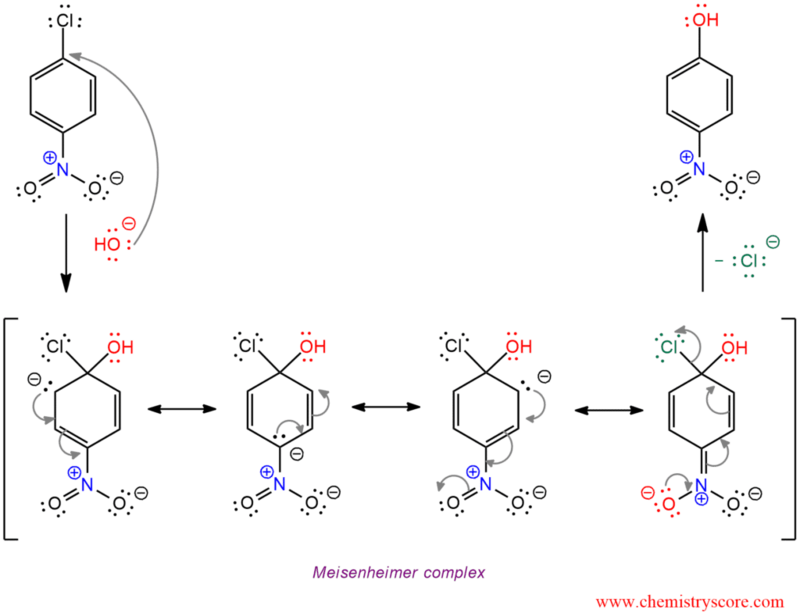 In the first and rate-determining step, the aromatic ring is attacked by a nucleophile, forming the intermediate Meisenheimer complex. This intermediate is an anion with a highly delocalized charge, for which several resonance structures may be written. In the second step of the SNAr mechanism involves loss of a leaving group to restore aromaticity.